Content was previously published by The American Lawyer Many product liability cases are won or lost based upon each side’s selection and presentation of expert witnesses. Often the key decision that the jury must make is determining whether the plaintiff’s or the defendant’s experts presented a more persuasive and believable analysis of the issues in the case. With so much riding on the choice of experts, what are some of the factors that attorneys in product liability cases need to consider before deciding which experts to present to the jury? You might think the answer is simple. You want an expert witness whose focus is on the issue at hand, whose credentials and experience are impressive, and who can communicate his knowledge well. While true, these factors are only the beginning of the inquiry. Like all good litigators, you need to plan many moves ahead if you expect to succeed in difficult cases. That means you must anticipate how you are going to attack your opponent’s experts and how your opponent will likely attack your experts. 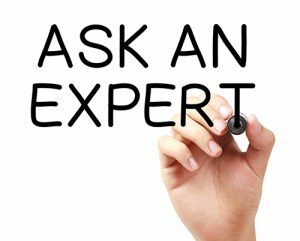 Armed with this knowledge, to the extent possible you should then seek experts that are not vulnerable to the types of attack you intend to use against your opponent’s experts. There is little that will undermine your credibility with the jury like having your opponent turn your attack on their experts back on your experts. Consequently, you must think through how you will challenge the other side’s experts and be confident that if those challenges are turned around and directed at your experts, you and your experts are prepared to fend them off deftly. Similarly, you must anticipate to the extent possible how your opponent will dispute your expert’s qualifications and opinions, and select experts who will give your opposing counsel as little to work with as possible. Two examples will illustrate these points. Hiring the epidemiologist who published a study in the field of interest may at first seem like a “no-brainer”. However, the author of a study may bring with her a host of possible challenges that a highly qualified epidemiologist who merely reviews the relevant studies may not. While presenting the jury with the author of the studies may score credibility points, the author may be perceived as having a bias in favor of his own study or his own interpretation of his results based on self-interest. This is particularly true where the author has built his professional reputation on that study or series of studies. In comparison, a highly competent professional in the same field can be presented as someone who has no personal interest in the study or its conclusion, but is simply being asked to apply his professional judgment to analyzing a problem within his general field of competency. On the other hand, the highly competent witness who has not performed the study can be criticized for his lack of hands-on knowledge when compared to the author of a particular study. Clearly there is no hard and fast rule and these factors must be balanced against each other and against the anticipated attack and counter-attack of other experts in your particular case. Depending on the nature of the case, it may be possible to use both types of experts and get the benefits of both types of witnesses. A second area where you must think ahead about how you will attack your opponent’s experts and how they will counter-attack your experts has to do with the expert’s area of expertise. For instance, if you plan on criticizing the other side’s physicist for rendering opinions in the field of cell biology, you need to make real sure that none of your experts are subject to the same type of criticism. That means making sure that you ask experts to render opinions only in the center of the “bull’s-eye” that represents their knowledge. The more you can keep your expert from rendering opinions that are arguably outside the scope of his knowledge based upon his education, training, and professional experience, the better. It is not unusual to find scientists, engineers, or physicians who are willing to render opinions on just about anything they are asked. It is you, however, who is supposed to be the “expert” on trials. Therefore, it is incumbent upon you to convince your experts to be comfortable responding to a question posed by your opponent that is outside the center of their knowledge-base by deferring to an expert in that field. You need to convince your bio-statistician that even if she is fairly familiar with concepts involved in organic chemistry, she (and your case) are better served by allowing the organic chemist to answer questions pertaining to organic chemistry. Finally, in selecting the right expert for your case you need to consider the witness’s ability to communicate with a lay jury. There are some experts who naturally know how to explain complex issues in interesting and comprehendible ways. Unfortunately, witnesses with these abilities are few and far between. More often, you must deal with witnesses who are not used to communicating with laymen and who consequently are not particularly good at it. You need to determine whether your potential expert witness’s communication skills can be polished sufficiently to make them persuasive and believable. This may require a significant commitment of time on the part of both the witness and the attorney. This work, however, can often be the difference between a witness whose testimony is judged insignificant, or even worse, harmful by the jury versus testimony that the jury finds helpful in resolving the case in your client’s favor. A pragmatic litigator must also be prepared to pass over a witness who may be the most qualified from a substantive perspective, but who simply cannot communicate that knowledge effectively to laymen and who is unable, even with help, to overcome this communication problem. Your case is usually better served even if you have to select a witness with slightly less credentials, who can connect with the jury over someone who has a few more published articles but would be incapable of persuading a thirsty man in a desert to drink some ice water. 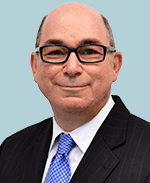 Harold “Hal” Walter is a Principal Attorney in the Business Litigation Practice Group, and also works as an intellectual property (IP) litigation attorney. Mr. Walter’s practice focuses on complex civil litigation including product liability, toxic tort, and a wide variety of commercial and business litigation.